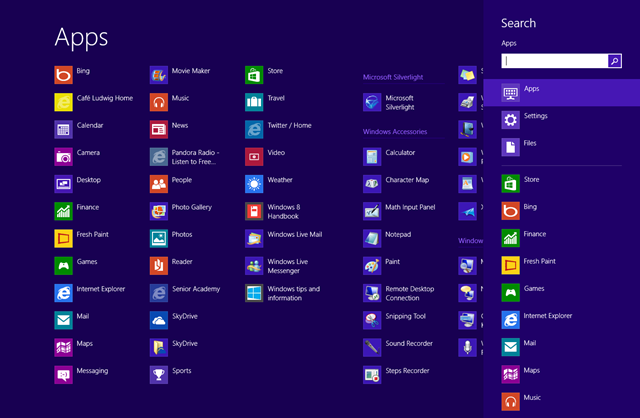 Windows 8 does not have a start button as it comes. 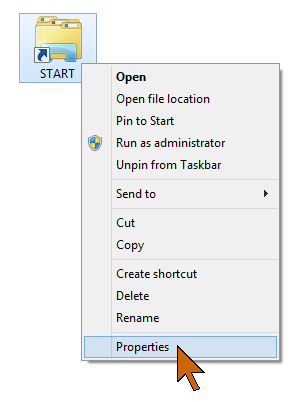 Friends of mine with Windows 8 computers have been asking me about how to get a START button on their taskbar. It is a little cumbersome to get to the list of programs: Press the logo key, right-click in an empty space on the start menu, then click All apps in the lower right corner. 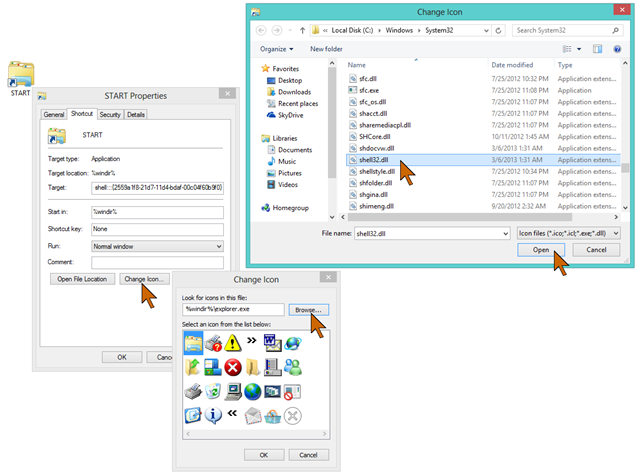 There is a quicker way: Hold down the logo key and press F.
Since the classic start button shows programs and a search box the Windows 8 closest equivalent is the Apps screen with the search panel showing. The shortcut for that is this: Hold down the logo key and press Q. On the desktop right-click on an empty space. 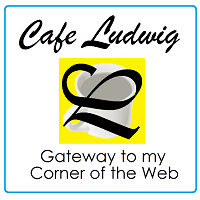 Select New and in the secondary menu click Shortcut. Click Next and give the shortcut a name, I use START. The resulting shortcut will show the folders icon. You can do better than that. So right-click the shortcut, select Properties. In the new dialog scroll down until you see shell32.dll. That has a wider selection of shortcut icons. Click on that and then Open. Pick an icon you like then click OK and again OK to complete the changing of the icon. 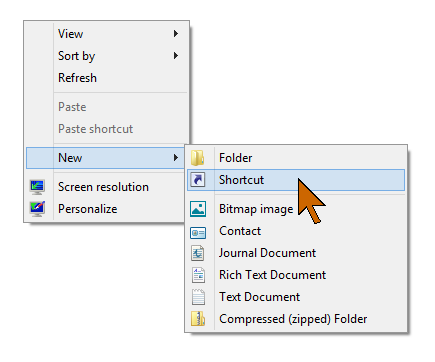 Drag the resulting desktop shortcut to the taskbar and move the icon to the left-most position. Now you have a poor-man’s Windows 8 start button. Click on it and it will get you to the full-screen “Apps” page with the search bar open. 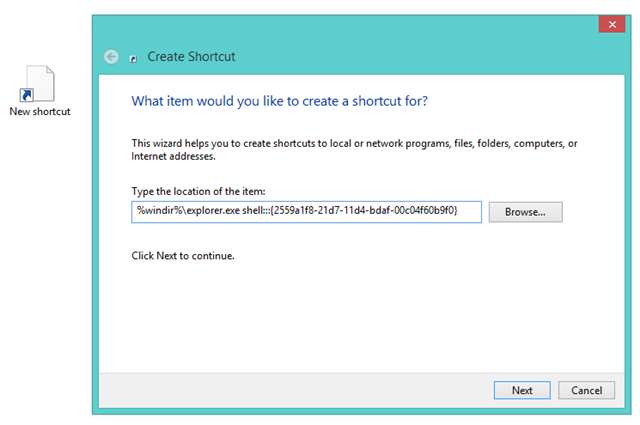 This entry was posted in Windows 8 and tagged shortcut, shortcut icons, Start button, start button substitute, Windows 8. Bookmark the permalink. I shared this post on my husband’s facebook page.